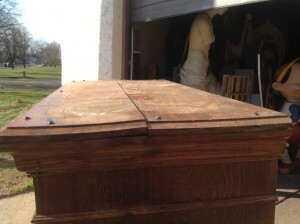 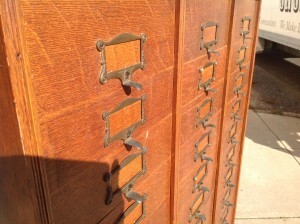 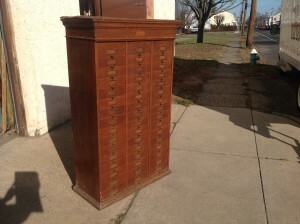 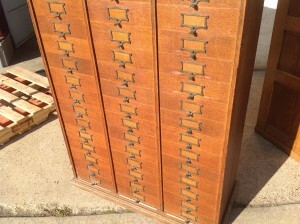 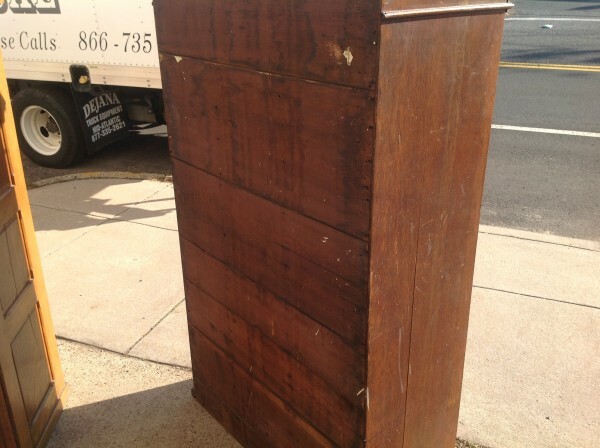 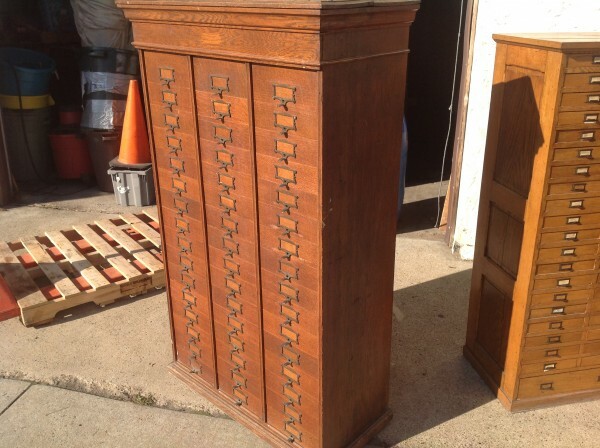 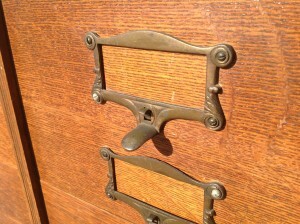 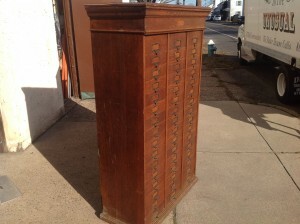 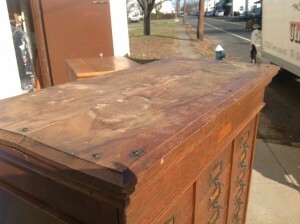 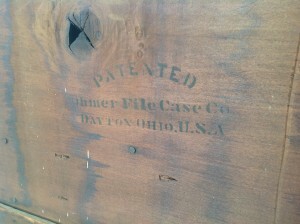 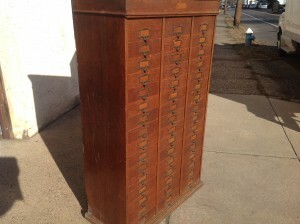 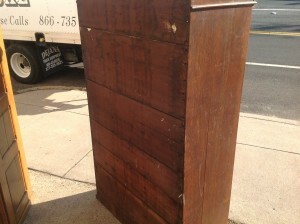 Antique tall multi drawer document cabinet, right out of a now closed law office, in as found condition. 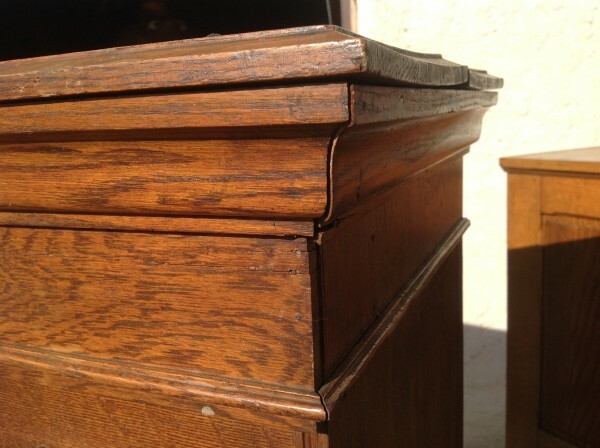 Neat construction as you lift the drawer front to obtain entrance to drawer contents. 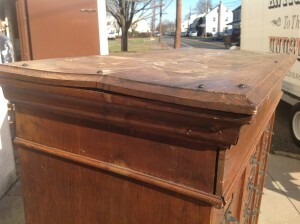 Nice patina with some warp damage to cabinet top. 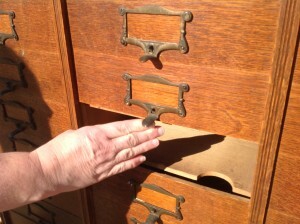 Rare to find one in this condition……….